As a family we try to ensure that all members of the Church receive pastoral support, prayer and encouragement appropriate to their needs. 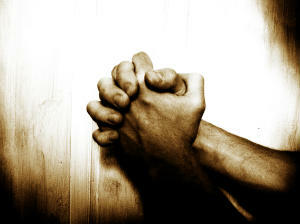 In prayer we bring everything to God understanding that prayer is the expression of our total dependency upon Him. We have the following opportunities to pray & would encourage everyone to take part in any of the prayer meetings we have at the Church as well as your own prayer times. Sunday Morning pre-service prayer meeting between 09:45 - 10:15. Sunday evening once a month, normally the 1st Sunday of the month. Monday Afternoon 14:15 - 14:45 Prayer meeting. Friday Afternoon 14:30 - 15:00pm Prayer meeting. Saturday Morning 08:00 - 09:00 Prayer meeting. Tuesday Morning 11:00 - 12:00. Wednesday evening 20:00 - 21:30. Prayer Requests are often circulated through the use of text messages. This is an effective prayer link for us as a 21st Century Church family. To join us all you need do is register your mobile phone number or to ask for pray to be circulated by text, is to contact Jenny Perkins on Click here. We also have the facility for you to send Prayer Requests online.